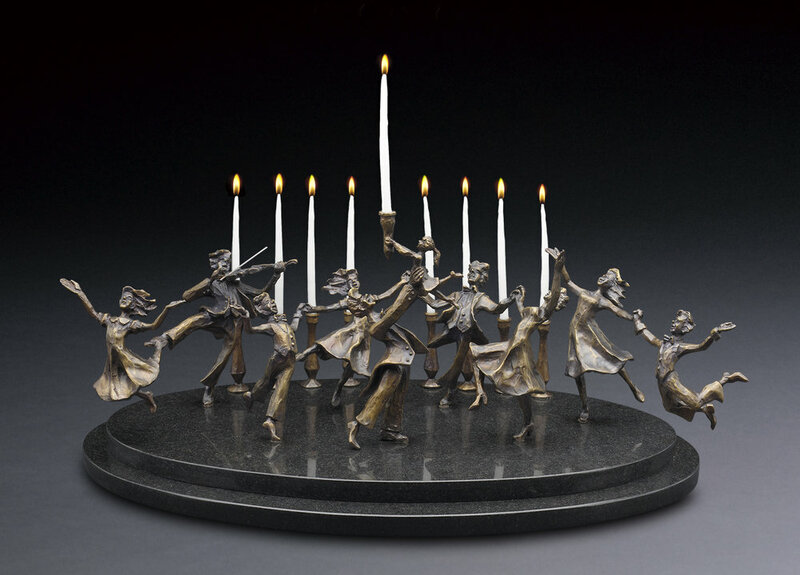 The joy of family connections is beautifully depicted in this elegant cast bronze Chanukah menorah, exquisitely mounted on a base of tiered black granite and is also created in silvered bronze. Lighting the way with the shamash, this couple, surrounded by their loved ones, is beautifully depicted in this cast bronze Chanukah menorah. 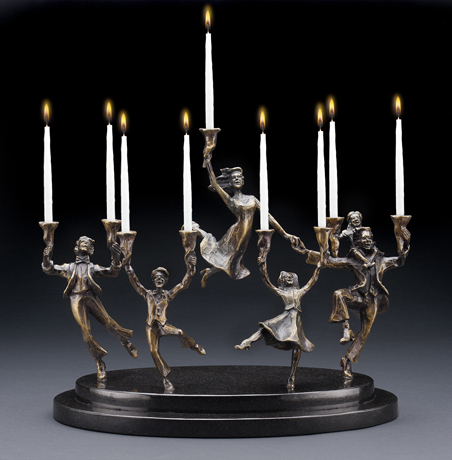 This uplifting sculpture can be used and displayed in many different configurations and is also available in silvered bronze. 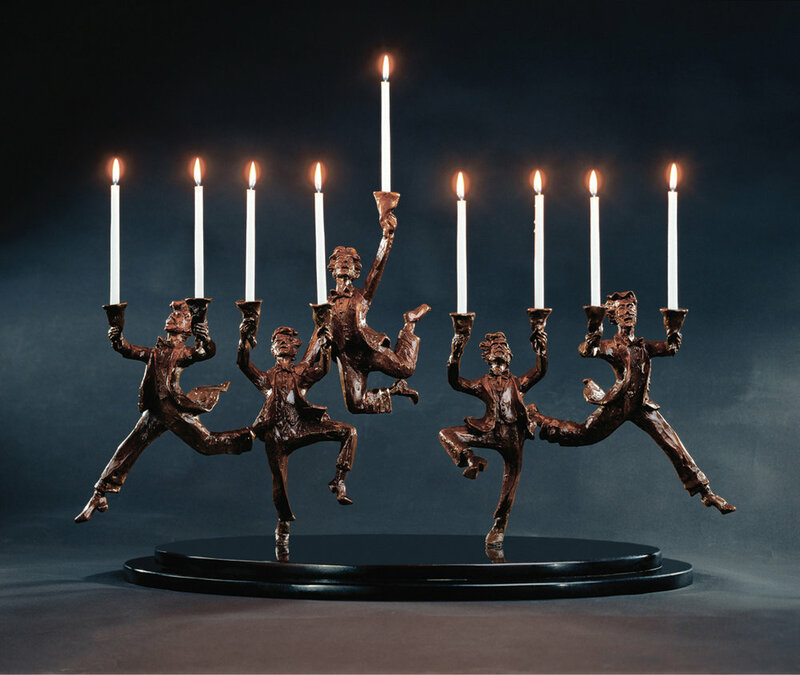 This cast bronze Chanukah menorah is based on the menorah that Oxman sculpted for display in The White House, Holiday Season 1995. It is mounted on a base of tiered granite and is also available in silvered bronze. The gift of a lifetime, marking the new beginning of family tradition, is elegantly portrayed in this beautiful cast bronze menorah, a work of functional sculpture that will be enjoyed and admired for generations. The work is exquisitely presented on a base of tiered black granite. This elegant Chanukah menorah is the latest addition to Oxman's collection. It beautifully embodies the joys of family celebration and deeply rooted traditions. Created in cast bronze mounted on a turntable of granite and brown walnut.